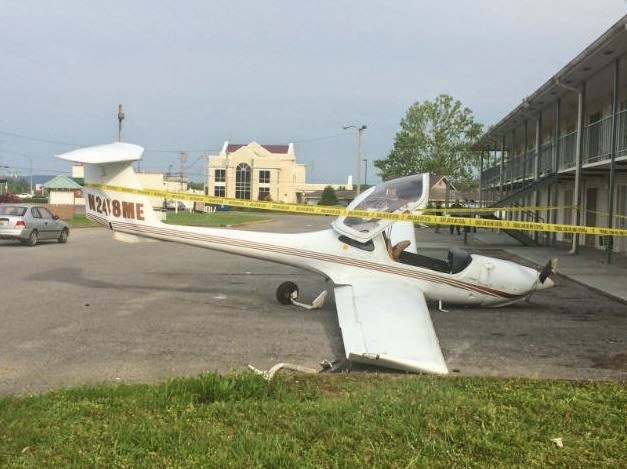 On April 27, 2015, about 1525 central daylight time, a Diamond Aircraft Industries DA20-C1, N248ME, was substantially damaged during a forced landing while attempting to depart from Sylacauga Municipal Airport (SCD), Sylacauga, Alabama. 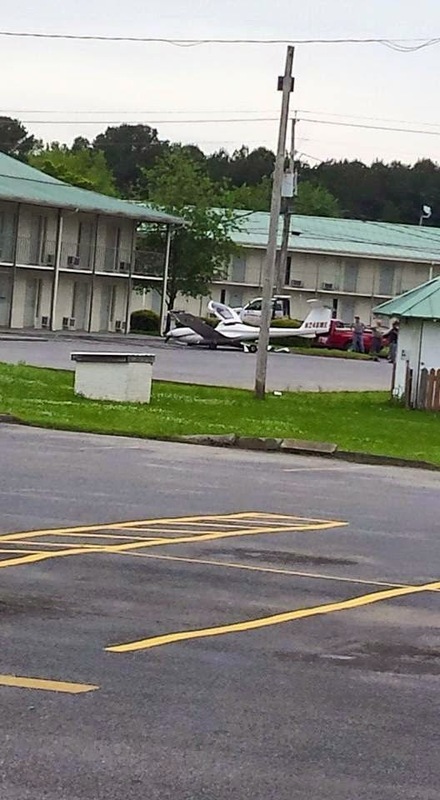 The student pilot was not injured. Visual meteorological conditions prevailed, and a company flight plan was filed for the instructional flight, which was destined for Newnan Coweta County Airport (CCO), Newnan, Georgia. The instructional flight was conducted under the provisions of Title 14 Code of Federal Regulations Part 91. The purpose of the flight was for the student pilot to complete a solo cross country flight. On the morning of the flight, the student met with his flight instructor to review his flight plan and perform a preflight inspection of the airplane. They then topped off the airplane's fuel tank with fuel and the student departed the airplane's home base at CCO en route to SCD. The flight instructor subsequently departed CCO in another airplane, and remained in radio contact with the student throughout the uneventful flight. Prior to departing on the return leg of the flight, the student pilot performed another preflight inspection of the airplane, runup check of the engine, and then departed for CCO. The student initiated a takeoff from runway 9, and upon reaching an altitude of about 300 ft agl, he noted that the engine felt "bumpy" and the airplane's climb performance had degraded. He responded by confirming that the mixture control was set to the fully forward position, the fuel pump was on, and the throttle was fully open. The student then advised his flight instructor via radio of the engine issue. The flight instructor advised the student to again ensure that the mixture was fully rich and that the fuel pump was on. About this time the engine rpm began decreasing from 2,300 rpm to 2,000 rpm. The student again advised the flight instructor of the situation, and the flight instructor then told the student to return to the airport and land. The student climbed the airplane to an altitude of about 900 ft agl, and while on the downwind leg of the traffic pattern noted that there was a helicopter in the vicinity of the approach end of runway 9. Upon reaching the mid-field point of the downwind leg, the student reduced engine power to 1,800 rpm, and configured the airplane for landing. As the airplane neared the mid-field point of the runway on final approach, it was still "too high," to make a normal landing. The flight instructor advised the student via radio to abort the landing and initiate a go-around. The student then positioned the throttle fully forward, retracted the flaps to the takeoff position, and attempted to climb the airplane. After hearing the stall warning, the student decreased the airplane's pitch attitude, and performed a forced landing to a grassy area ahead. During the landing, the right wing struck a utility line, the pilot stated "my landing was heavy", resulting in a collapsed nose landing gear, and resulting in substantial damage to the firewall and forward portion of the fuselage. A Federal Aviation Administration (FAA) inspector examined the airplane at the accident site and oversaw a test run of the airplane's engine. During the test run, the engine started normally, and due to damage sustained to the propeller, was run at a low power setting. The test was subsequently discontinued, and the engine and airframe were retained for further examination. A subsequent test run included running the engine to 1,900 rpm, which resulted in normal fuel flow and pressure. As the throttle was increased, the engine rpm began to drop off and the engine started running rough with no increase in rpm. The throttle body/fuel metering unit was removed and tested on a flow bench, the fuel pump pressure at 2800 rpm was 37.46 pounds per square inch gauge (PSIG). Manufactures specifications at that rpm was 47.80-48.00 PSIG. A test throttle body/fuel metering unit was installed on the accident engine, and a subsequent test run to about 2,800 rpm for 15-20 minutes was achieved and fuel pressures were within manufactures specification. The original throttle body/fuel metering unit was re-installed and a test run to 2,100 rpm was achieved, before the engine began running rough and backfired with no increase in rpm. The original throttle body/fuel metering unit was again removed and tested on a flow bench. This test resulted in the unit again not meeting the manufacturer's specification for fuel pressure throughout all throttle settings. Another test was conducted resulting in the same conclusion, low fuel pressure throughout all throttle settings. The throttle body/fuel metering unit was forwarded to the NTSB Materials Laboratory for detailed examination. Detailed inspection of the unit's individual components revealed that dimensional analysis of the shaft and fuel metering disk cam profile was preformed, and no issues were observed. Additionally, an examination of the tapered knurls on the mixture control lever revealed several "sets" of knurl impression marks, consistent with the lever being repositioned on the shaft several times. The surface finish of the tapered area was patinated brown, with no indication of the metering lever sliding relative to the shaft. The tapered knurls on the shaft exhibited deformed crowns consistent with compressive deformation. Overall, the shaft exhibited nicks, burs, and raised areas along its length. The surfaces also exhibited marks consistent with rework and aggressive cleaning or sanding. According to FAA records, the airplane was issued an airworthiness certificate on April 19, 2004, and was registered to AAF Incorporated in April 2015. It was equipped with a Continental Motors Inc. IO-240-B17B, a 125-hp, engine with a Sensenich W69EK7-63 fixed pitch propeller. According to both the airframe and engine maintenance logbooks, the most recent annual inspection was performed on February 9, 2015, with a total time of 3,866.8 hours. The engine maintenance records also showed that the fuel pump, throttle body/fuel metering unit, and fuel manifold were overhauled on January 9, 2014 and installed on the accident airplane in July 2014. The pilot held a student pilot certificate. His most recent medical certificate was issued on February 13, 2015, and at that time he reported 54 hours of flight experience, all in the DA20-C1.